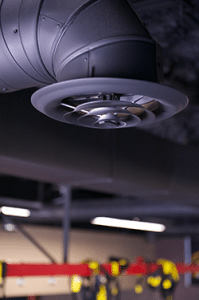 Commercial HVAC – Heating & Cooling Solutions understands that each business has different needs when it comes to their heating and cooling systems. When you call Heating & Cooling Solutions, our certified technicians will conduct an assessment of your businesses heating and cooling needs by looking at square footage, number of rooms, amount of insulation, windows, climate, local and regional utility costs and allergies. We will use this information to make recommendations that fit within your budget for repairs, maintenance, and/or installation. To make sure your heating and cooling systems stay running at their optimal performance Heating & Cooling Solutions offers annual maintenance plans for your business. Our maintenance plans are tailored to the needs of your business. By contracting us for an annual maintenance plane you can avoid the possibility of large repair bills and down time that could really hurt your business. By having your HVAC equipment regularly maintained it will work at optimum efficiency, last longer, and save you money. We strive to be your #1 choice for all your Commercial HVAC needs in Greenwood SC and across the upstate. Heating & Cooling Solutions – Heating and Air Greenwood SC has a full service commercial heating and air conditioning division dedicated to the keeping your customers and employees comfortable. Our highly trained certified technicians can service and install all brands and models of commercial heating, cooling and indoor air quality systems. At Heating & Cooling Solutions we pride ourselves on our commitment to customer satisfaction. We take your business seriously and the comfort of your employees and clients is our top priority when servicing your HVAC systems. We offer competitive prices and a wide range of services. We also know that if your HVAC is not operating correctly it has a major effect on your business so we offer emergency services if needed. At Heating & Cooling Solutions, we recognize that if your heating and cooling system suddenly goes down it can cause a major disruption to your business. We also know that these problems with your heating and cooling can happen outside regular business hours. For your convenience, Heating & Cooling Solutions offers Emergency Services for when you need us most. 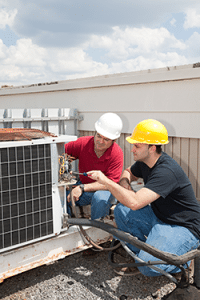 Our technicians have faced all types of Commercial HVAC problems and are prepared to handle any repair. We won’t be satisfied until you are and your clients and employees are back to being in perfect comfort. For new installation, replacement, repair, maintenance and emergency service, Heating & Cooling Solutions has your heating and cooling needs covered. I am sure we will exceed your expectations like we have for numerous businesses across the Upstate of South Carolina. Join our growing list of satisfied business owners. Give us a call today! Heating & Cooling Solution’s expert technicians can handle all your company’s commercial refrigeration needs including installations, conversions, service & maintenance, and optimizing the performance of your existing refrigeration systems. 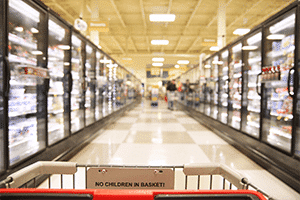 Installation – Whether needing commercial refrigeration system installed to keep groceries and drinks cool, or healthcare supplies at the right temperature, you can count on the expert technicians at Heating & Cooling Solutions of Greenwood SC for your commercial refrigeration installation projects. We carry a vast selection of sizes, styles and brands to suit the unique refrigeration needs of your business. Our team works with you to help determine the right freezer or refrigeration equipment for your business. In helping you make a decision we look at your floor types, amount of product requiring refrigeration, your budget, customer/employee convenience, as well as the layout and size of your building. We handle commercial refrigeration needs for restaurants, bars, schools, cafes, grocery stores, convenience stores, hotels, hospitals, event centers, and more. If your business is in need of a new commercial refrigeration installation or need to replace or expand an existing system give us a call. Service & Maintenance – Our highly skilled refrigeration experts can seek out possible leaks in your system that may be leading to unnecessary loss of refrigerant. Through our maintenance plans we work to keep your refrigeration systems running at peak performance and reduce the risk of costly equipment failure. By having your refrigeration system regularly maintained you also reduce the risk of product loss or safety concerns due to inadequate refrigeration or failed equipment. If your equipment is ever in need of repair you can trust us to get it fixed correctly and quickly. Energy Optimization – We analyze your refrigeration system to look for ways to help reduce energy consumption and lower your overall energy costs. Commercial HVAC Company serving Greenville SC, Greenwood SC, Spartanburg SC, Anderson SC, and surrounding upstate communities .